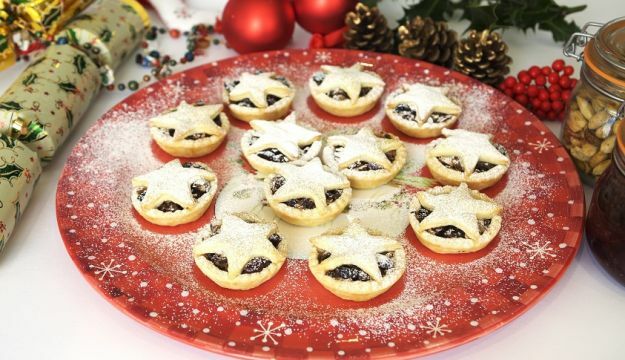 These are not only the ideal way to brush up on cooking and baking skills to take the stress out of Christmas, but are also the perfect way to celebrate with friends or work colleagues as an alternative party. Everyone leaves the baking classes with treats they have made themselves to give as presents or share with friends and family. Situated right in the heart of Edinburgh, the school is ideally located for Christmas shopping before or after courses, and it even has its own shop for cookery-themed gifts or cookery course gift vouchers for those hard-to-buy-for people. This evening course with dinner is for anyone who has find the prospect of carving a joint of meat daunting. Participants will enjoy a glass of wine while learning about keeping knives sharp and watching various joints of meat being carved, with an opportunity to have a go themselves. Afterwards a sociable two course dinner, including the carved meats, is served with more wine and followed by dessert and coffee. Learn to cook new dishes at a Saturday practical cookery class in Edinburgh New Town Cookery School’s stunning kitchens. These cookery courses are designed to inspire participants with new ideas for dinner party dishes – just in time for the festive season. The day starts with coffee or tea and a short demonstration and introduction to the day’s recipes. Then everyone cooks three courses before enjoying the meal, sitting round the kitchen table, with a glass of wine. The day will finish at approximately 2 – 2.30pm- leaving plenty of time for Christmas shopping as well. This three day course, intended for novices, will teach the basic cookery skills which are essential for every cook to know and particularly relevant in the run up to Christmas. Each day students cook a variety of dishes some of which they will eat for lunch and the rest they can take home. As the days progress everyone’s confidence increases and by the third day they will leave with new recipes and new skills.Techniques covered will include: knife skills; browning meat; pastry making; cooking with eggs; cake making; bread making; roasting; fish cookery; and cooking vegetables. Recipes will include chocolate fruit Christmas cake; stollen; mince pies; cinnamon shortbread stars; and pear, pecan and cranberry muffins. The course includes lunch in the school’s beautiful dining room and there will be plenty of baking treats for you to take home with you. Come and join us for a wine tasting of all that is frothy and frivolous, and learn of the many ingenious ways man has sought to put bubbles in wine. By comparing Proseccos, Champagnes, Cavas and New World sparklers you will discover the fizz for you. This will be a fun and sociable evening and would be a perfect early Christmas present. The morning starts with coffee and shortbread before a two-hour demonstration showing how to create several festive savoury and sweet canapes. Participants will enjoy a tasting of the finished results with a glass of prosecco at the end. For children who love baking, and for parents who want to amuse their children during the holidays with something a little different these December half day courses are the perfect antidote to winter holiday boredom as children learn how to make delicious cakes and biscuits which they can pack up and take home. They may turn out to be the perfect Christmas Present for Granny! Suitable for children aged 9 – 13 years old who will learn to bake Chocolate Kisses, Lemon Drizzle Muffins and Shortbread Stars. During the Christmas holidays why not send your child for a one day cooking course at Edinburgh New Town Cookery School. Designed ages 9 – 12 , children will be taught cooking skills using the best seasonal ingredients, cooking dishes that they can easily recreate at home. The children will be taught, and encouraged, to clear up and wash up as they go – something that every parent will appreciate! They will cook a simple lunch and they will take some of their cooked treats home.